Has no friends, only business partners... his only allegiance is to himself. 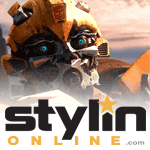 Refuels by plunging his mecha-fangs into new cars' gas lines - the better made the car, the better the gasoline tastes. Maximum flying speed: 65 mph. Carries two radar-guided, free-electron lasers that detect the presence of an object as small as a fly. Wings contain mechanical sensors for locating fuel sources. Has one foot wingspan that can enlarge to ten feet. 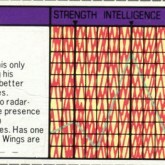 Wings are vulnerable to artillery. 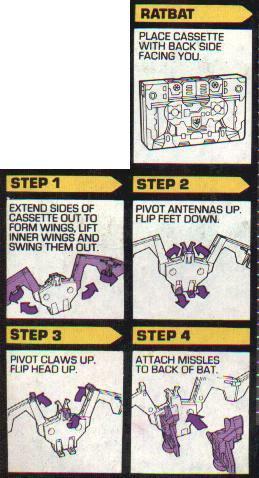 Sold in a 2-Pack with Frenzy, replacing Laserbeak from earlier releases. Sold in a 2-Pack with Frenzy. 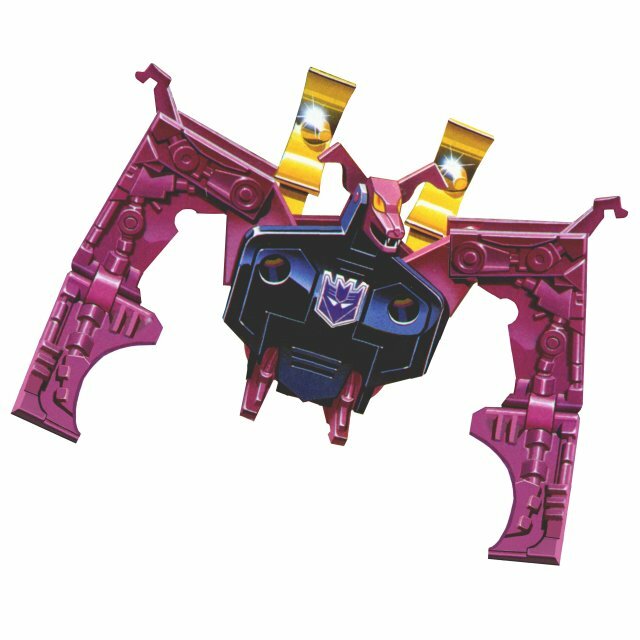 Ratbat was sold individually in Japan. He was included (along with Laserbeak, Buzzsaw, and Ravage) with the San Diego Comic Con 2009 edition of Soundwave. 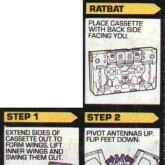 Most decaled Ratbats came with gold-chromed weapons and most painted Ratbats came with silver-chromed weapons. 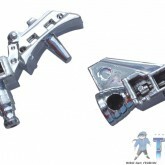 Since these two changes are not known to be simultaneous, there are number of "transitional" decaled units wearing silver-chromed weapons. 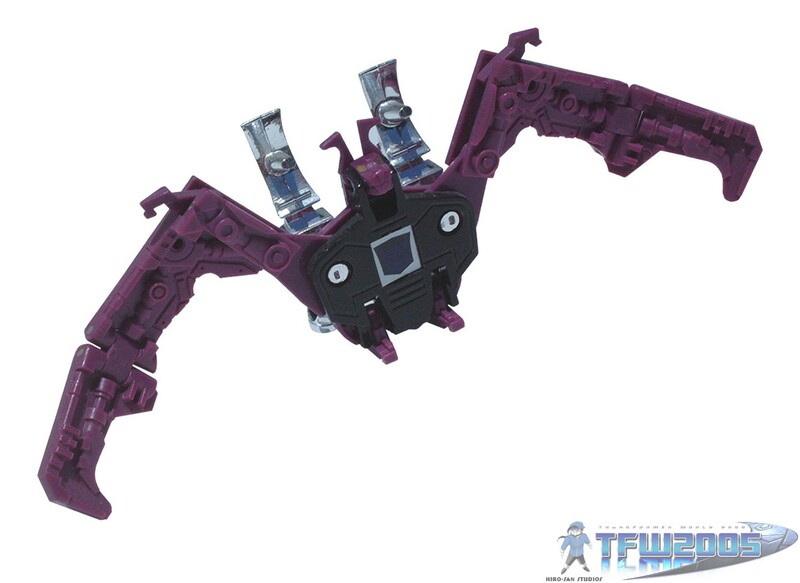 (Both partners in a 2-pack -- Ratbat & Frenzy in this case -- came with weapons chromed in the same color.) 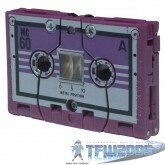 The painted Ratbat has a molded frame surrounding his tape window, where the paper tape reel decal used by the 1984 Decepticon cassettes is applied. The version available with SDCC 2009 Soundwave is identical to the initial 1986 tooling. Came with 2 gold (or later, silver) chrome "Free-Electron Lasers".